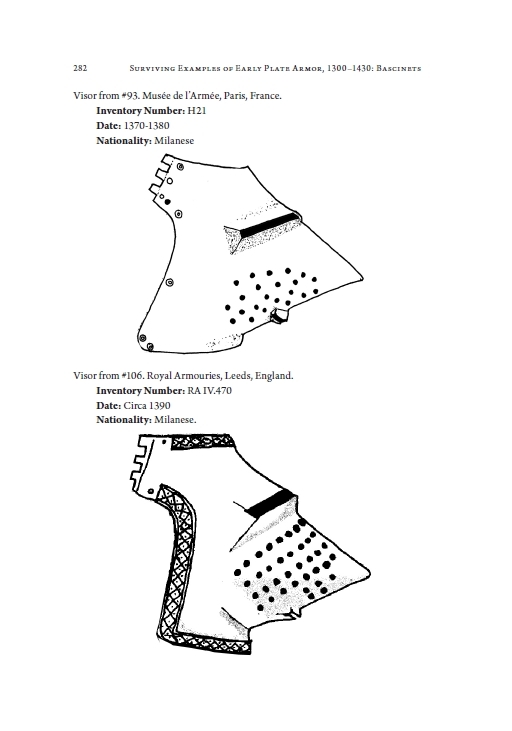 The fourteenth century witnessed a late medieval arms race; an era that began with knightly combatants armed in mail – and ended with them dressed head-to-toe in the complete plate armour that is commonly associated with knights. 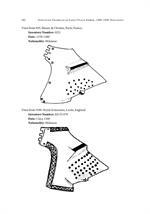 Although well documented in art and effigies, only a very few examples of this early plate armour survive. 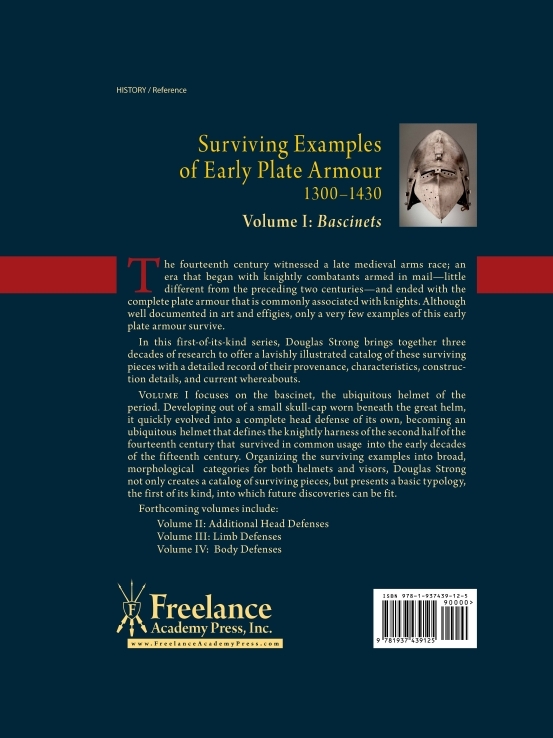 In this first-of-its-kind series, Douglas Strong brings together three decades of research to offer a lavishly illustrated catalog of these surviving pieces with a detailed record of their provenance, characteristics, construction details, and current whereabouts. 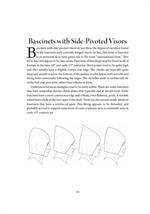 Filled with color and black-white photos, line-drawings, this 8.5 x 11 hardback is a piece of artwork in its own right. 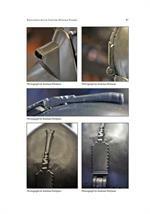 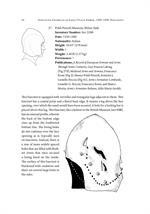 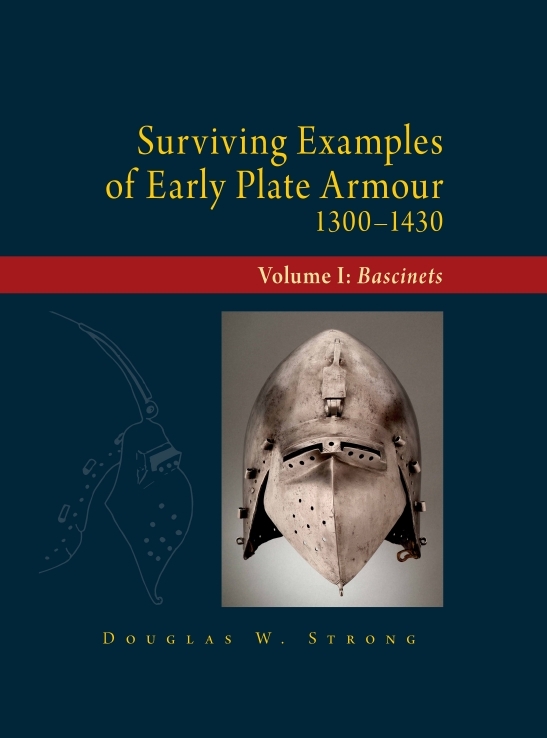 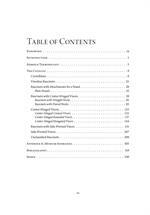 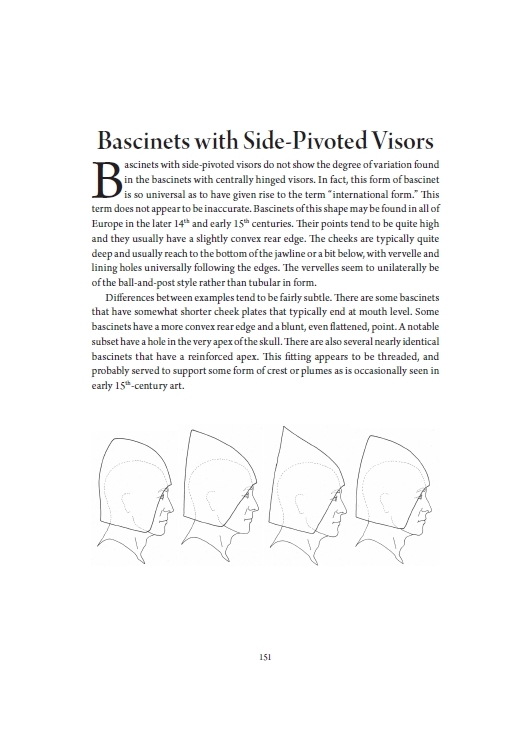 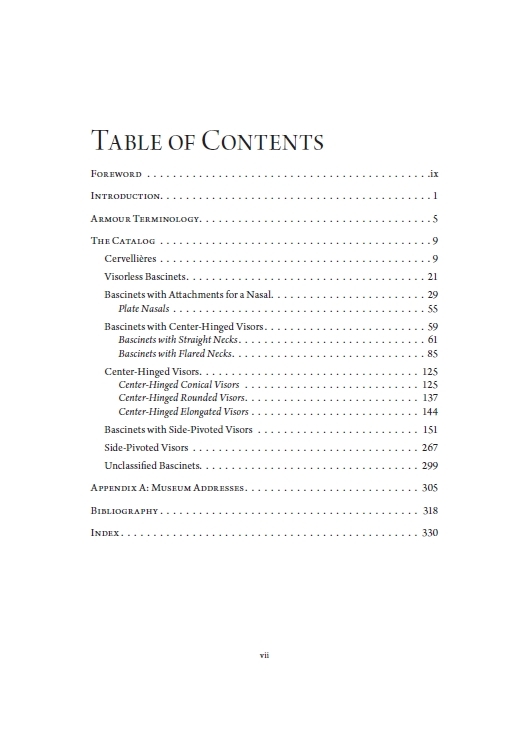 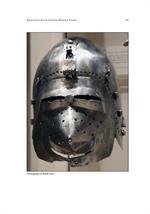 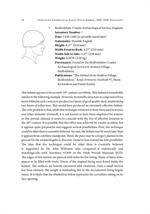 VOLUME I focuses on the bascinet, the ubiquitous helmet of the period. 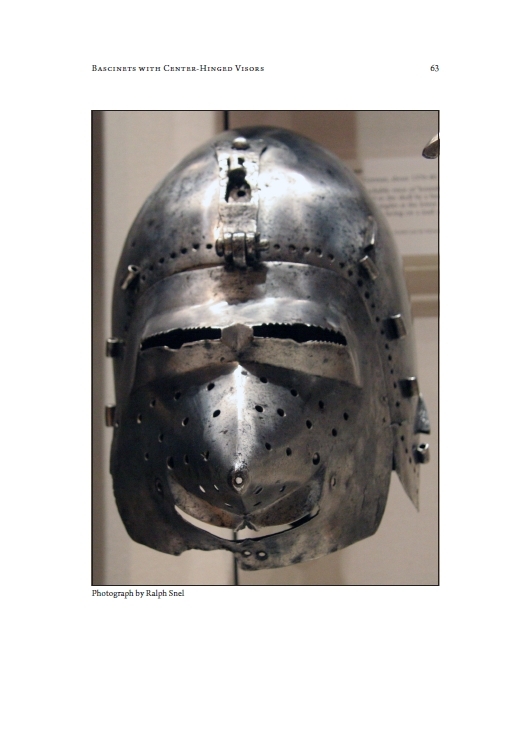 Developing out of a small skull-cap worn beneath the great helm, it quickly evolved into a complete head defense of its own, becoming the helmet that defines the knightly harness of the second half of the fourteenth century that survived in common usage into the early decades of the fifteenth century. 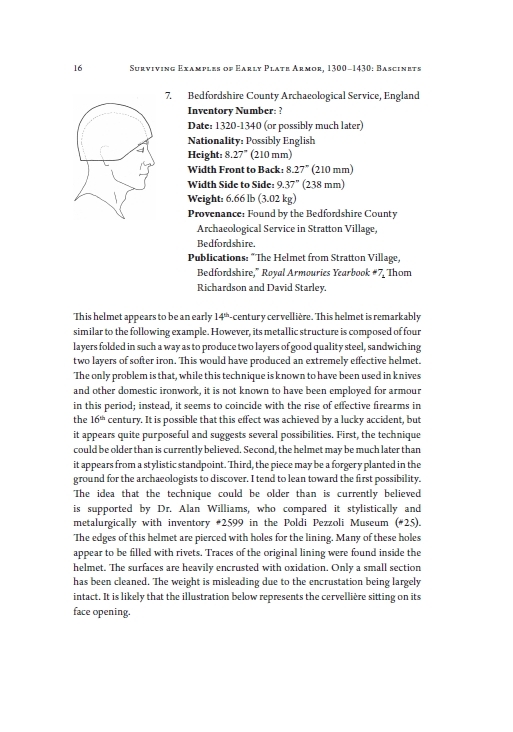 Organizing the surviving examples into broad, morphological categories for both helmets and visors, Douglas Strong not only creates a catalog of surviving pieces, but presents a basic typology, the first of its kind, into which future discoveries can be fit.